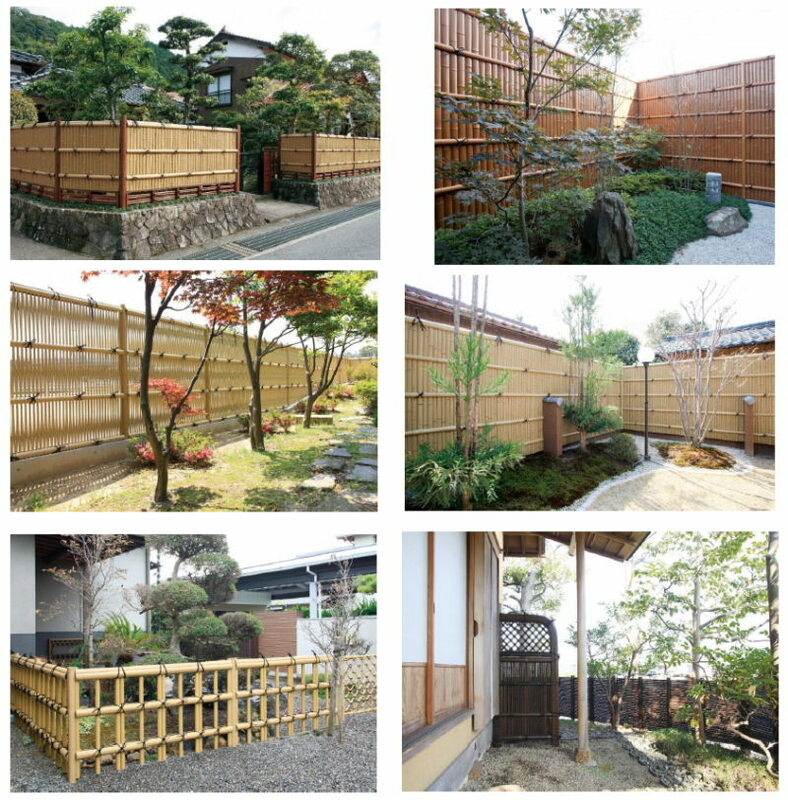 We would like to introduce bamboo fence (Takegaki) of japanese garden supplies. We have a lot of items that is not displayed at this catalog, so please contact us if you are interested in other items. Although these items are artificial, their textures are equivalent to natural bamboos. They produce the sumptuous japanese garden. Please contact us if you would like to purchase these items. We send the pictures and the details of them, and please select your favorite one. 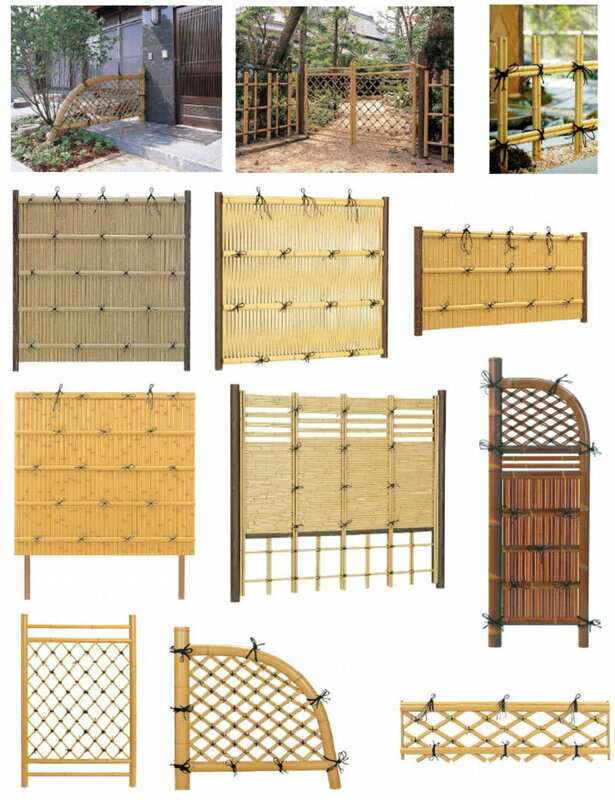 You can set up Bamboo fence easily. Contact Details are as follows. Please let us know if there is anything we can do for you. 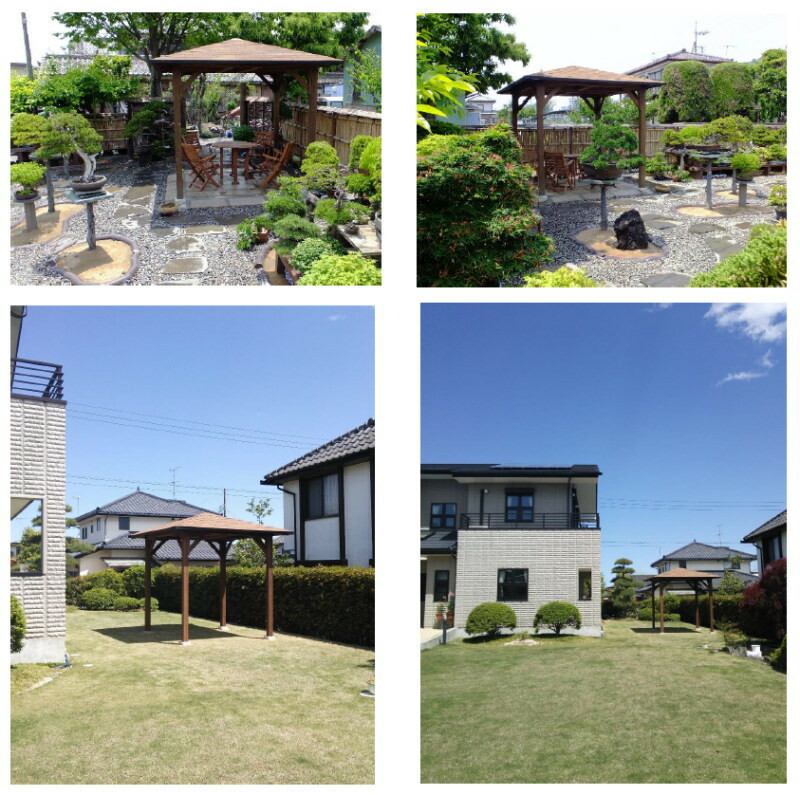 We would like to introduce arbor (Azumaya) of japanese garden supplies. These items are knockdown, so you need to assemble parts into a complete unit. The pillars of an arbor are most important, so you need to assemble them carefuly. Also, you need to add processing the roof. We ship the item with the English translated plan of it, so please refer to the plan and the pictures of HP when you assemble it. 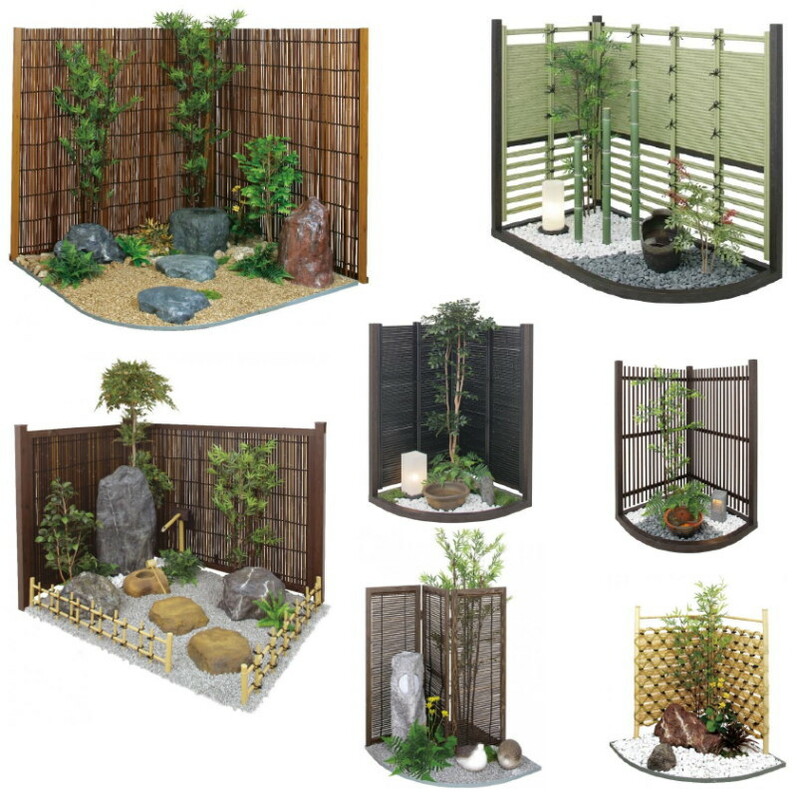 We would like to introduce artificial inner garden (Tsuboniwa) of japanese garden supplies. We have a lot of items that is not displayed at this catalog, so please contact us if you are interested in other items. You can set up a miniature japanese garden in your house. Artificial inner garden produce the japanese place. These items are artificial, so you can take care of and set up them easily. Please contact us if you would like to purchase these items. We send the pictures and the details of them, and please select your favorite one. 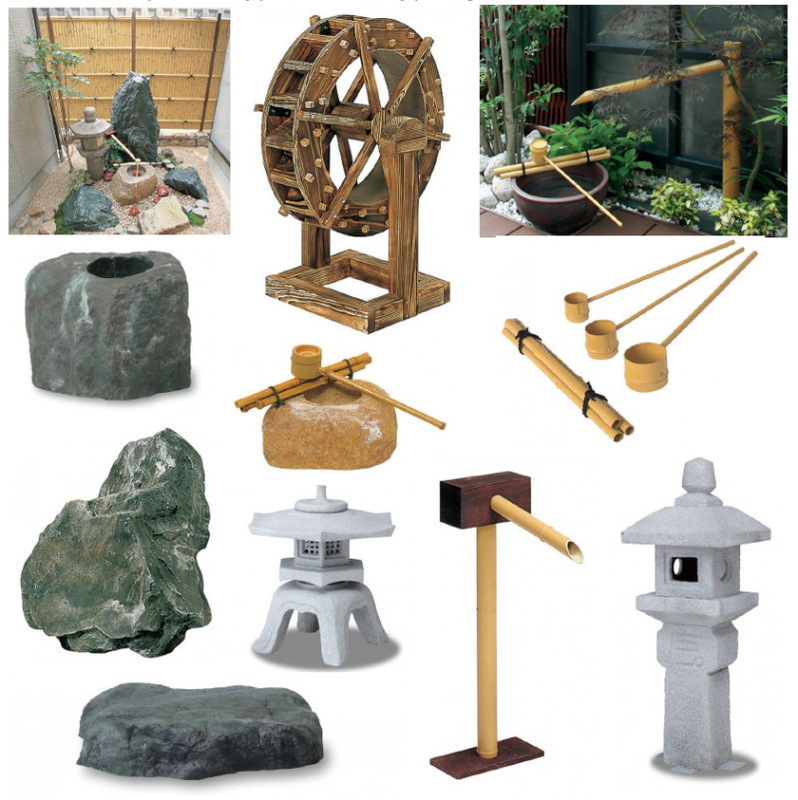 We would like to introduce artificial japanese garden supplies. We have a lot of items that is not displayed at this catalog, so please contact us if you are interested in other items. We would like to introduce artificial plant. We have a lot of items that is not displayed at this catalog, so please contact us if you are interested in other items. 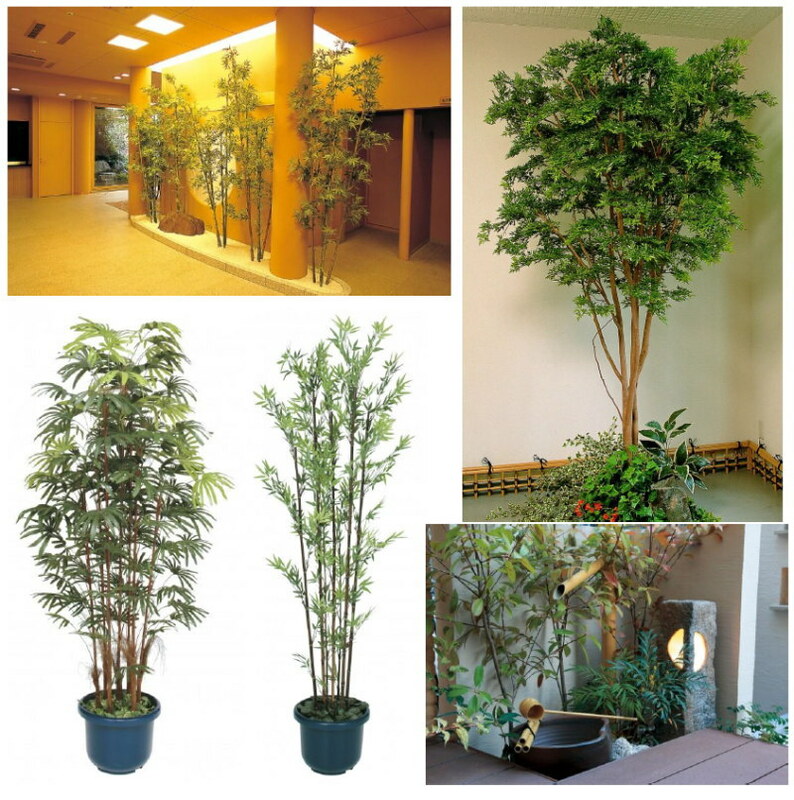 The plants are distinctive japanese species, so they produce the japanese place. 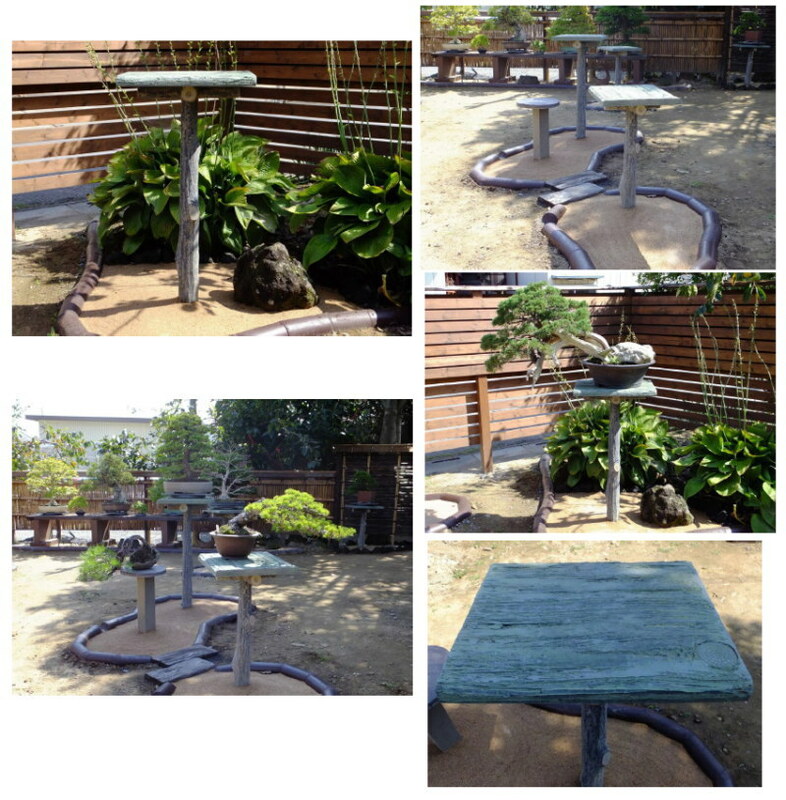 We would like to introduce bonsai stand (Bonkui) of an indispensable item for bonsai garden. Bonsai stand (Bonkui) shows bonsai trees off to advantage. Please contact us if you would like to purchase these items. We send the pictures and the details of them, and please select your favorite one. These items are the productions by order, so it takes time for delivery. 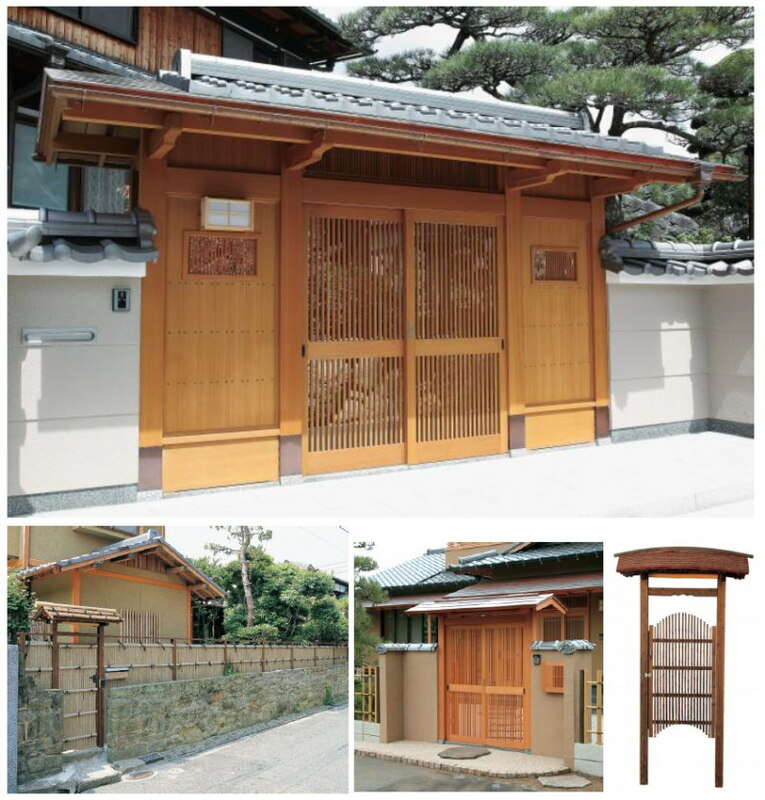 We would like to introduce the sumptuous japanese gate (Sukiya-mon). Please contact us if you would like to purchase these items. We send the pictures and the details of them, and please select your favorite one. These items are the productions by order, so it takes time for delivery. Contact Details are as follows. Please let us know if there is anything we can do for you.